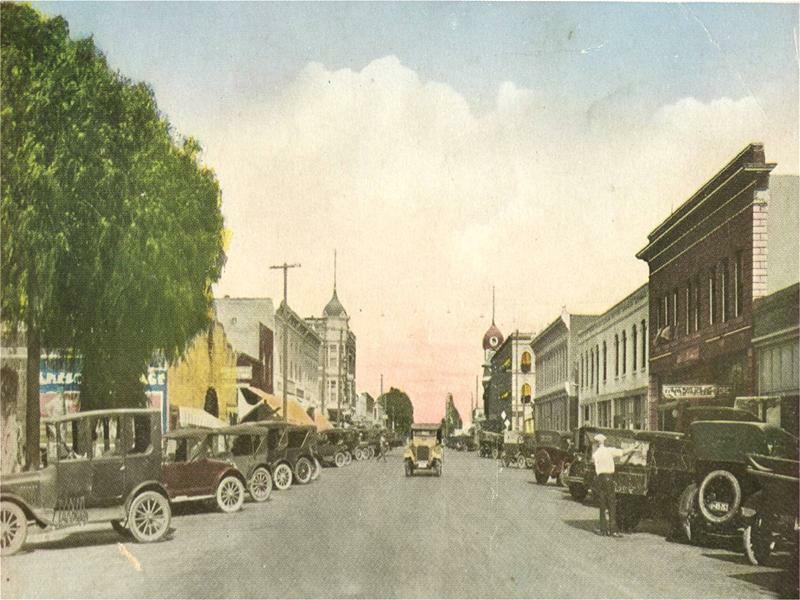 8th Street in downtown Colton around 1900. 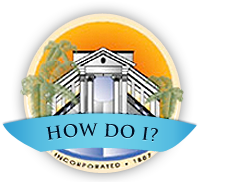 Dating to over 300 years ago, the area that today comprises the City of Colton has served as a crossroads and center of regional activity. In the late 1700s, explorers from Mexico first passed through on their way north to Monterey. The first permanent settlement occurred in the early 1800s as the Jurupa and San Bernardino ranchos, which were Mexican land grants to private owners. The ranchos supported agricultural activity that was important to the growing region. The ranchos were gradually subdivided, and smaller ranches and citrus orchards dotted the area. As the final transcontinental leg of the Southern Pacific Railway pushed through in 1875 on its way to Los Angeles, a formal town was laid out on a traditional grid street pattern, evidenced today in Colton’s downtown and the south Colton neighborhood south of Interstate 10. 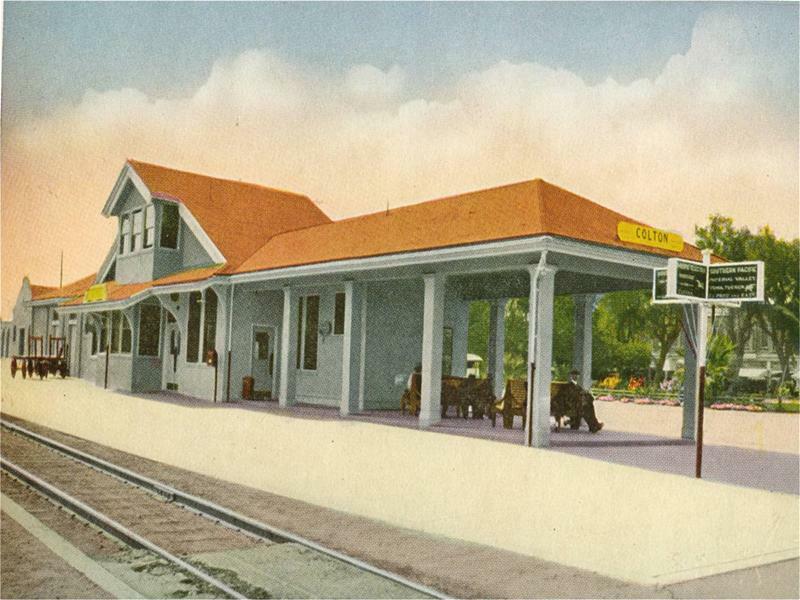 Activity associated with the railroad and the citrus orchards made Colton a busy place, with many businesses and residents working to support railroad operations. In south Colton, where many railroad workers lived, residents built their own homes often using the disassembled wooden crates from railroad shipments as building materials. Railroad activity was expanded so that both east-west and north-south regional lines crossed in Colton. With the waning of the citrus industry, other businesses dependent upon rail for materials delivery and shipment were established along the rail lines, thus creating large tracts of land devoted to industrial operations, many of which continue today. The original residential settlements remained adjacent to the rail and industrial operations, allowing local residents to walk to their jobs. The Carnegie Library was built in 1891 and now houses the Colton Area Museum. 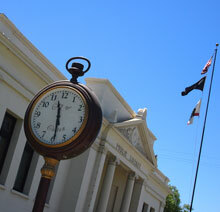 Many buildings standing today in downtown and south Colton date back to these early years. 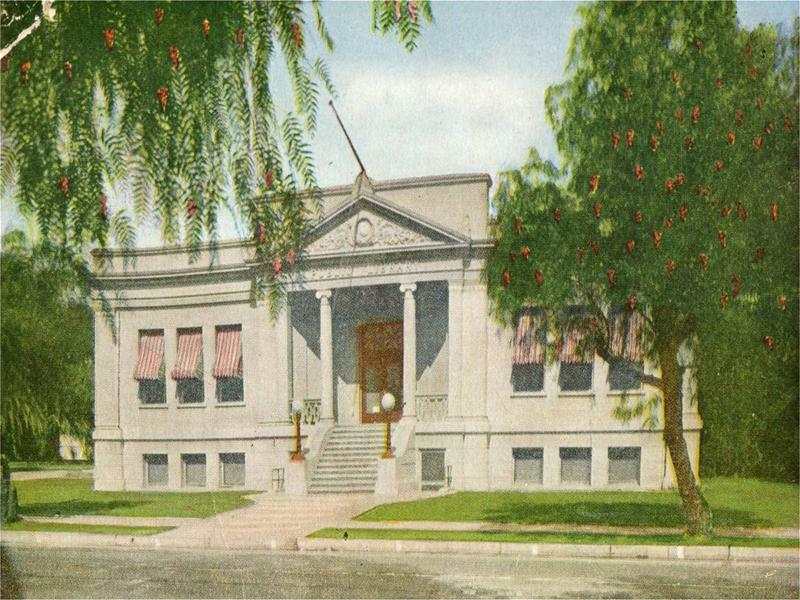 Proudly, the Colton Museum on La Cadena Drive, built in 1891 as a Carnegie Library, displays and describes those influences that shaped the Colton we see today. Following the relatively quiet period during the 1920s and Great Depression, Colton again experienced a development boom. Construction of Interstates 10 and 215 through the City, further defining the crossroads nature of the community, atrracted transportation-based industries. The frenzied residential building period of post-World War II, followed 30 to 40 years later by explosive subdivision growth throughout the Inland Empire, created many new neighborhoods. A modest amount of commercial development followed to support demand for goods and services.